Every horse is different. 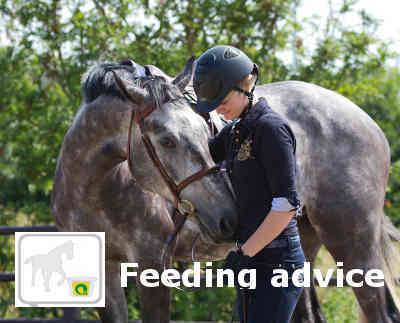 With some horses, you can start to notice their nutritional needs change when they are around the age of 15 already. With some other ones, they can reach the age of 25 and still require no change in their nutrition. The most common age symptoms are; Sensitivity to colic, weight loss, dental problems and decreased digestion. The fact is that in horses around 18 years old, the digestion efficiency is reduced. This means that the food is broken down less easily and the nutrients are less absorbed by the body. Through this, the need for good quality roughage increases. In roughage such as grass, hay or luzern you find essential nutrients such as proteins that keep the horse’s body in condition. To optimize the intestinal function, a high-grade and fiber-rich ration is indispensable for the older horse. The fibers stimulate the intestinal activity which supports the digestion. Artificially dried roughage such as the Lucerne-mix and Compact Grass are naturally rich in healthy building materials such as proteins, vitamins and minerals. With high quality roughage from the Hartog range, you develop a good basis for the aging horse without unnecessary stress on the body. Roughage naturally contains much less sugar and helps the older horse stay fit, energetic and healthy. Horses and ponies with dental problems have a strong need for fiber-rich foods. Unfortunately, hay and pit grass are no longer well absorbed, but people still invest in expensive senior concentrate feed for hay and silage. By providing chopped roughage products such as Compact Grass or Gras-mix, the animal can chew, produce saliva and fill the intestines with healthy fibers without wasting roughage. A supplement of concentrate feed may be desirable if the horse is still active in sports, longeer or is very skinny. For example, choose the fiber-rich product Balance Structure Muesli.